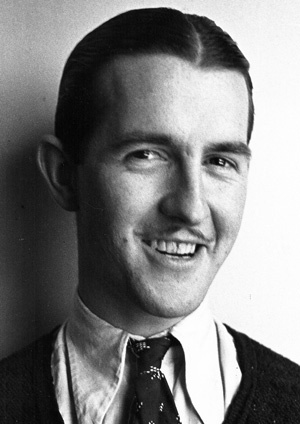 The quiet, contemplative demeanor of Robert McKimson was never mistaken for lack of ability at the Warner Bros. Animation Department. While his fellow directors each strove to leave a bold personal stamp on their films, McKimson worked intently with his small unit to produce cartoons and characters of quality and charm. As an animator, his ability to draw a character quickly, cleanly and accurately earned him the positions of senior model sheet artist, troubleshooter, and animation supervisor at the studio. He is responsible for the creation of Tasmanian Devil, Foghorn Leghorn, and Hippety Hopper while at Warner Bros., all of whom owe their success to McKimson’s uncanny ability at timing. This talent was first honed in 1928 when McKimson was with the Disney Studios, where he worked on Mickey Mouse. McKimson then moved to Romer Grey;’s studio, and after that, Harmon-Ising. Soon after this, however, McKimson was on the move again. He joined up with Leon Schlesinger’s studio, which was acquired by Warner Bros., where McKimson stayed until 1963. But before McKimson became a director, he had studied animate and inanimate objects utilizing oils, pencil, charcoal, watercolors and pastels. This was in addition to a 10-year career as a polo player. During the 1940s, McKimson was principal model-sheet maker, which strongly influenced Warner’s overall graphic identity. About 1943, he drew the now famous pose of Bugs Bunny leaning on a tree, with a carrot poised for chomping, which has remained the characters standard publicity image ever since. When McKimson became a director, he helmed famous Warner Bros. classics such as “Daffy Doodles,” “Acrobatic Bunny,” and “Walky Talky Hawky,” with Henery Hawk and newly born character, Foghorn Leghorn, which was nominated for an Academy Award. It was character design that showed McKimson’s talent, in which many new and varying settings were used to exploit his character’s personalities. Willing to experiment and take risks, life’s little nuisances infused itself in McKimson cartoons such as “French Rarebit” and “Gorilla My Dreams.” McKimson is also known for his take on current-day television by his creation of “The Honeymousers;” a spoof on the “The Honeymooners.” After the studio closed in 1963, McKimson went on to direct various theatricals as well as commercials and titles. He passed away in 1977. Read more about McKimson and Termite Terrace.